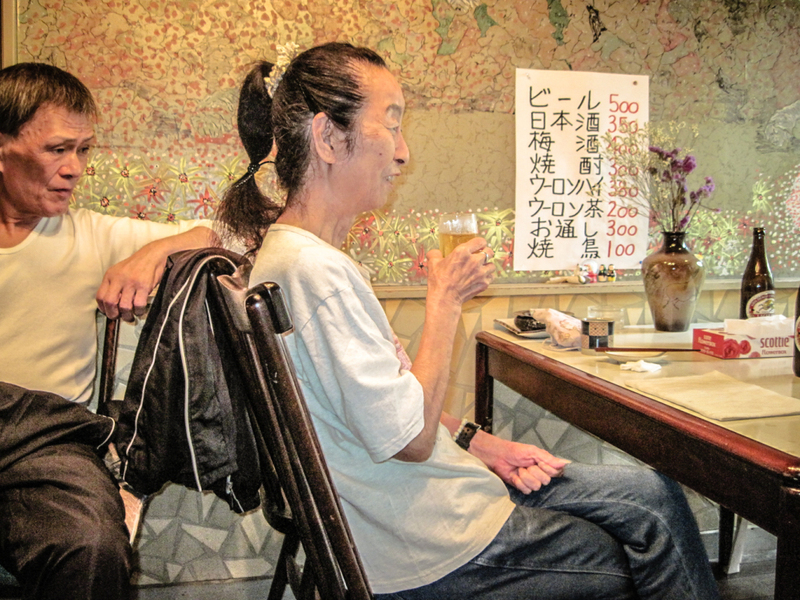 The tiny neighborhood bars and watering holes distributed throughout Tokyo are probably as numerous as the stars on a clear night in the Himalayas. Perversely, they’re often the kinds of places that are easy to miss, at least in the daytime, even if a given joint is open when one happens to walk by. 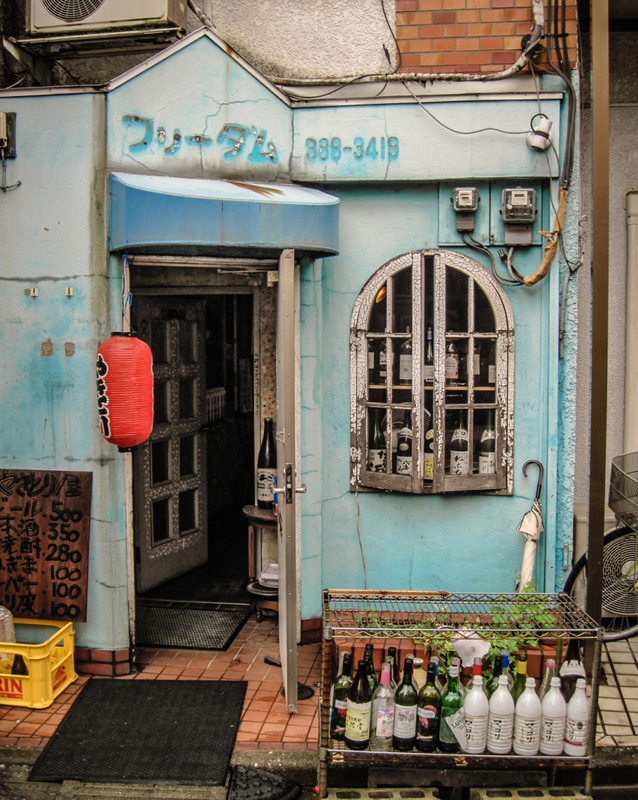 But sometimes one can pass a Tokyo bar, even a run-down looking place, and feel strangely drawn to it. 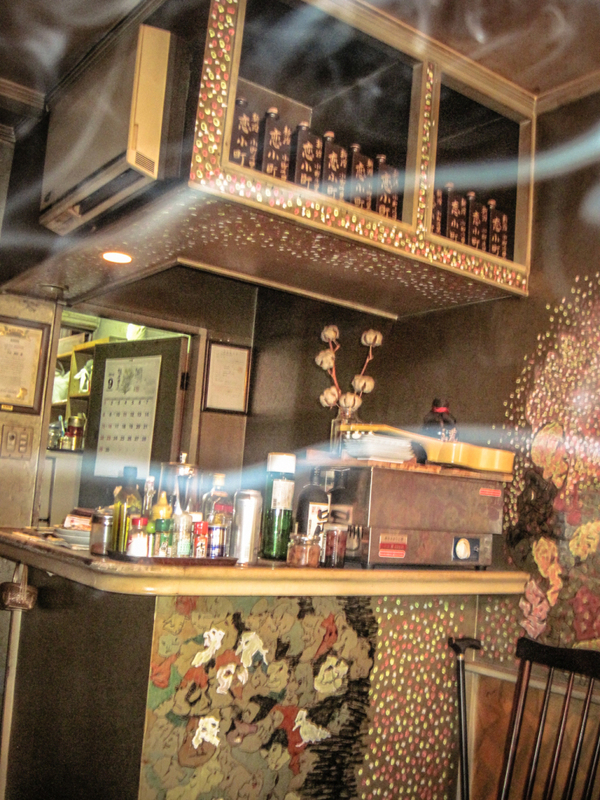 Something about it catches the eye – perhaps the way it’s painted or how the bar’s name is displayed on the street. Suddenly, a person finds themselves walking into the joint even if they weren’t originally in the mood for a drink. 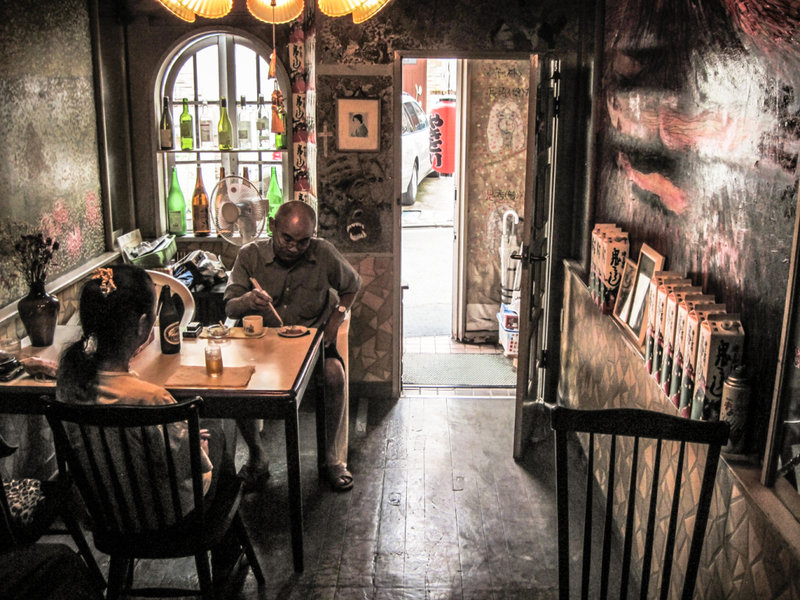 Freedom is that kind of place; an unassuming little neighborhood bar that doesn’t look like much on the outside, but has an allure that made going inside an unexpected but rich Tokyo experience. Freedom is on the eastern edge of Nakano 5-Chome, near a place called Kitano Shrine. The combination of its severely-faded blue color, arched window, and the liquor bottles on the curb made the building stand out. 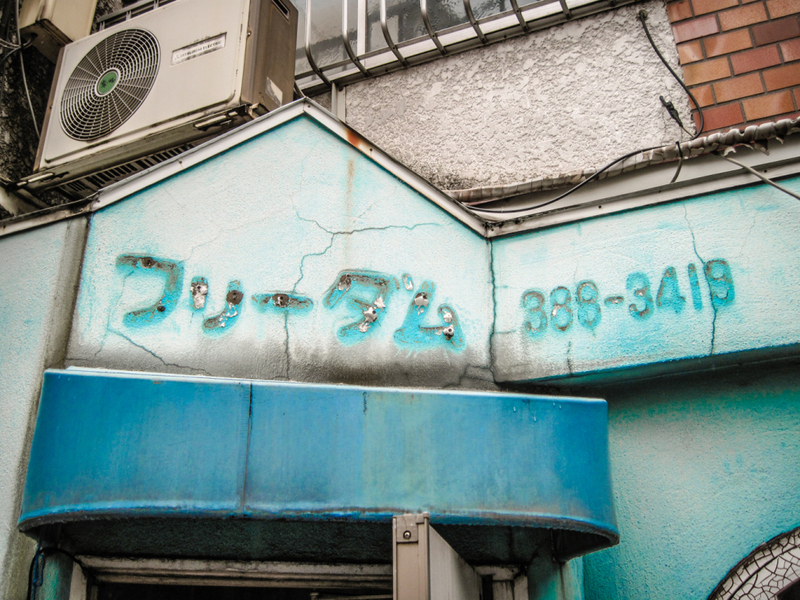 The katakana and phone number were missing from the front of the building, revealing the more vibrant color the place used to be and begging the question as to whether Freedom was actually still named Freedom. But once inside the outside didn’t matter much. 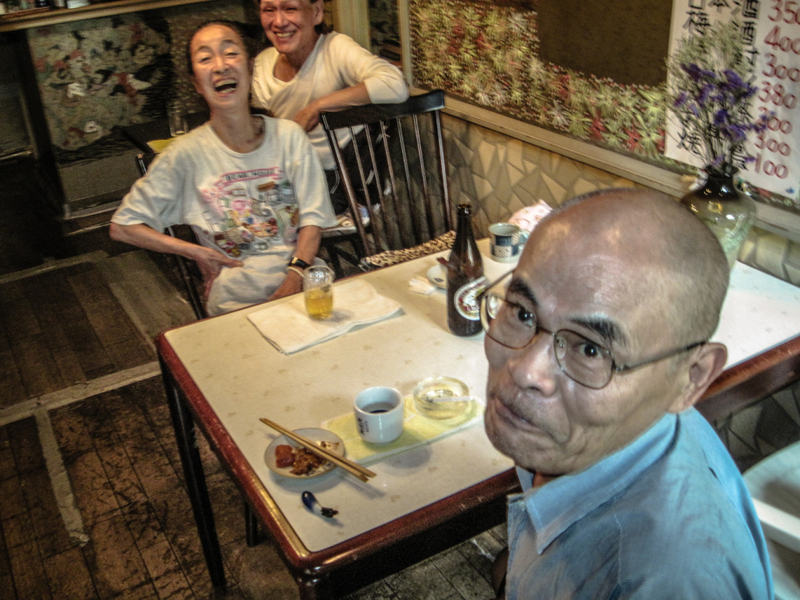 Even to a foreigner with very limited Japanese, the folks in Freedom were warm and welcoming. Mama-san, the owner, is the lady laughing. One of her customers, a garrulous and inquisitive older fellow, was quick with questions in limited English about California. 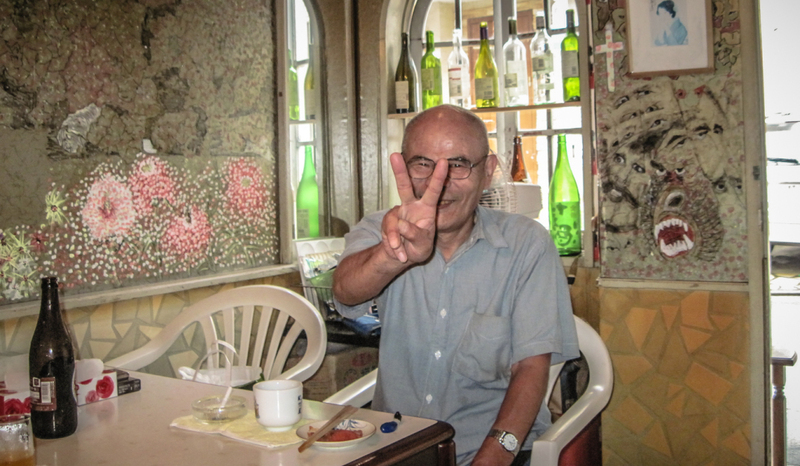 And with the universal sign that he was Japanese, he posed for a picture. Mama-san held obvious pride in her place, and it showed in the service she provided. As to the interior of Freedom, it was like being in an artist’s teeny world where the artist serves up booze as a way of saying thanks for visiting. With the front door open and light from an overcast sky seeping through it and the window, Freedom had a comfortable, glowing beauty within it that a photograph almost can’t convey. 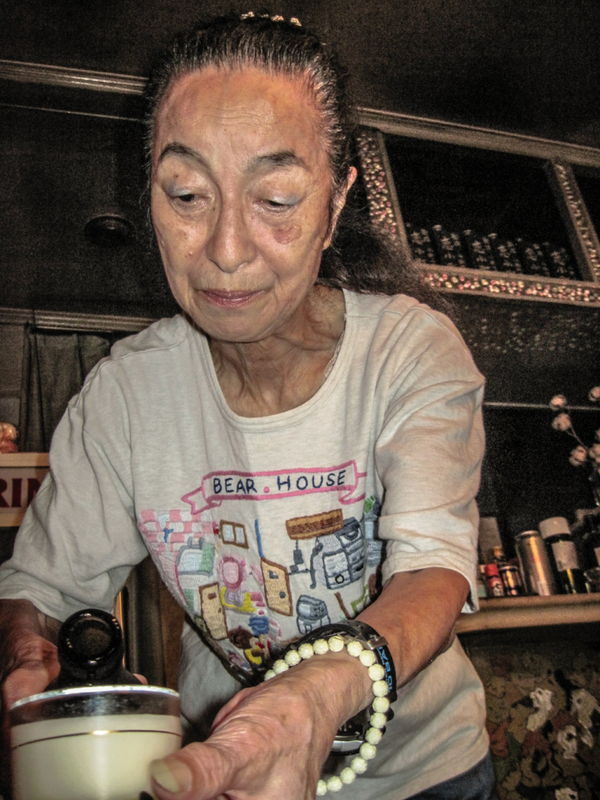 Mama-san enjoyed her place and her customers. One got the impression that her customers were more than regulars. They were friends on whom she relied not only for income, but for a reason to even own and run a bar in the first place. 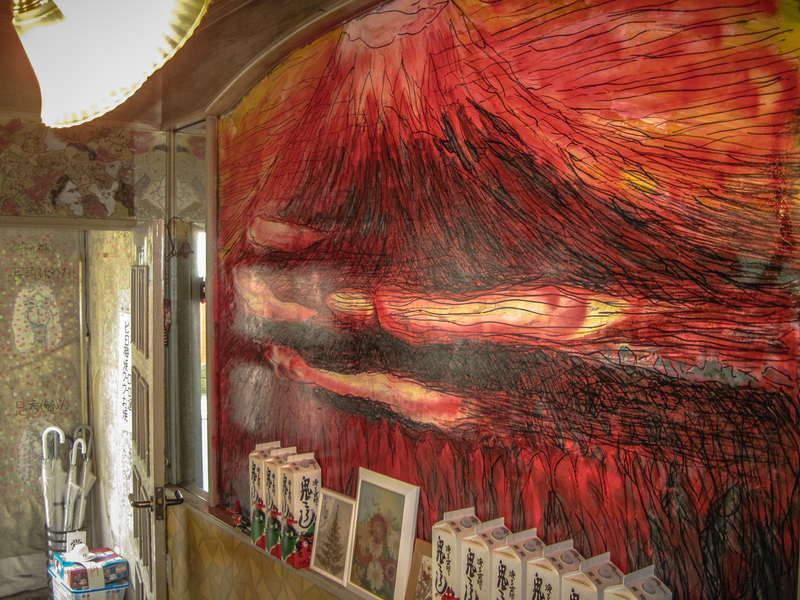 Along almost an entire wall there was a more fiery interpretation of Mount Fuji than one typically sees. It was Freedom’s visual centerpiece. 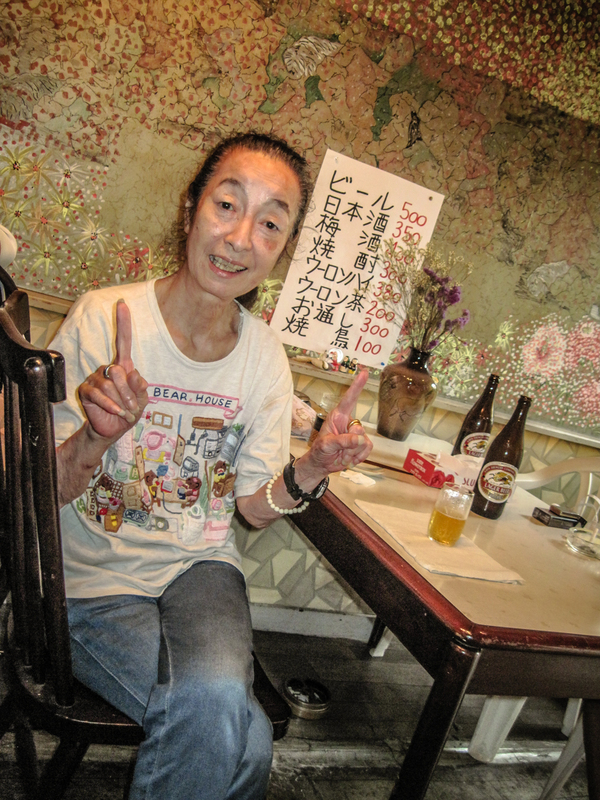 Even while relaxing with a beer, Mama-san paid warm attention to everyone in her bar, even those shooting flash pictures while barely being able to speak Japanese.